This week is Top Ten Rainy Day Reads. I don't know but here's what I came up with. Such a good read... and set in sunny Florida, so if it's a rainy day you can read about sunshine. Such an amazing found family. A murder mystery at a snowed in inn. 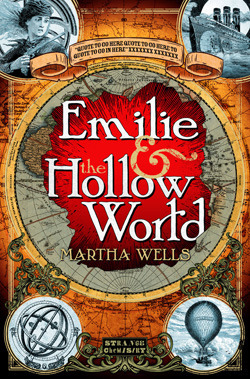 A lovely Hollow Earth type story with awesome merpeople! High school and games with very dangerous stakes- what's not to love? 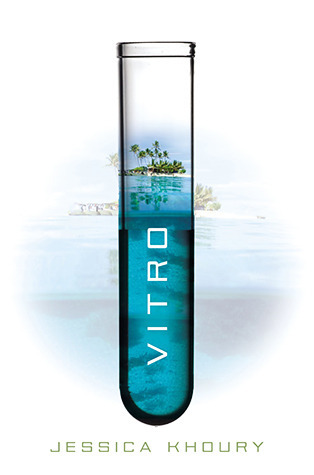 Another favorite- a remote island and genetic experiments???? The Long Way is a good pick! 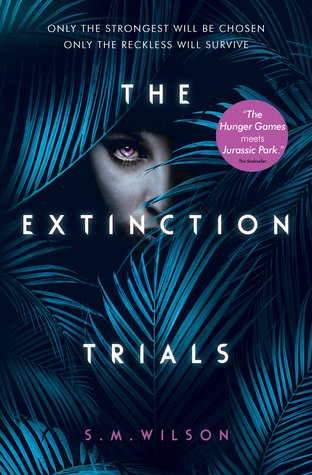 And judging from the first chapter that I read of The Extinction Trials I think that series is great to binge through a few rainy days. I wish more people would read The Extinction Trials!!! I bought Extinction because of seeing it on your blog so I think it looks perfect for that - I'm hoping to get to it soon. I'm going to be reading Killing November soon, so I'm excited to see that on the list as well! I can't wait to hear what you think of both of those! I recently finished reading Fangirl by Rainbow Rowell. It didn't live up to the hype for me. Parts of it were great, but felt it was a bit too busy... I'm currently reading Carry On by Rainbow Rowell, so we'll see if this fairs any better for me. I haven't read any other RR so I'm curious to see what people think of her other books. Yup! And oh my gosh that 70's series is hilarious! Great list! I love The Long Way to a Small, Angry Planet and I really need to give Two Can Keep a Secret a try soon. Ooh nice picks! A nice variety too! Seeing lots of creepy or contemporary choices for rainy day reads. I was all in for the creepy/mystery ones myself! 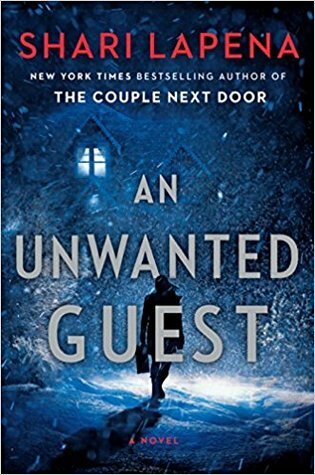 I really enjoyed the Unwanted Guest and hope to read that Julie Mulhern mystery series at some point. Great list. The Julie Mulhern series is sooooo good! A 1970s murder mystery sounds like great fun! 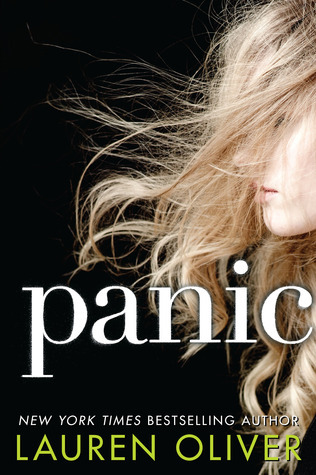 Oooh, Panic -- I like that cover! Becky Chambers is a great pick or this. 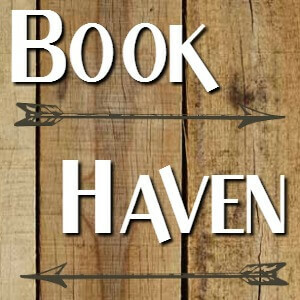 And I like the sound of the Lauren Oliver - it's a book that went off my radar, but now it's back on there. Yay!! Haha i liked Panic. I see some I like as well on here and some like Killing November, I totally need to look into! I've been having some difficulty with the topics lately. No surprise seeing The Shark Club here. My hold of Killing November just arrived so I'm really excited. This was a tough topic- or rather, a lackluster one (for me) after some of the others, but then I found a bunch of books I didn't mind pushing again! 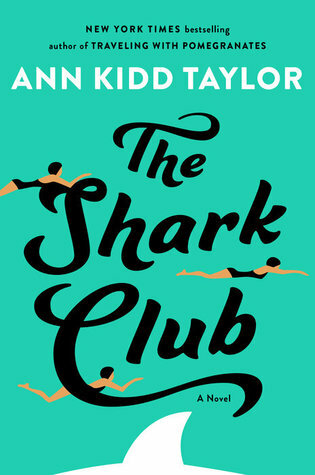 The Shark Club sounds really good. You've reminded me I need to read Fangirl! Oh I thought you'd read Fangirl! Winds of Winter I WISH!!!! I need to re-read Fangirl. It was so good. I wasn't a huge fan of the shoot off book, Carry On. I think about re- reading Fangirl now and then! Okay, now I really need to read The Extinction Trials. People keep raving about it, and you have very good taste in books in general! Oh thank you. It does need more readers!!! 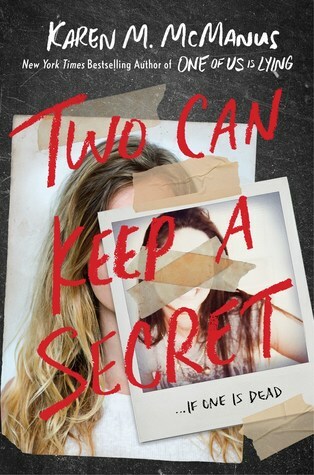 Every time I see Two Can Keep a Secret on your blog it reminds me that I still haven't checked out this author. I must do so soon. Great list! I waited a while to read it and shouldn't have -it was really good! Two Can Keep a Secret and Panic are perfect choices! I love your list. some actually seem to have water involved. Of course, as you know, I am a fan of Fangirl. I'm off the board with unusual narrators this week. Check it out. Ooh can't wait to see your topic! And I do seem to gravitate towards water in my books! Fangirl almost made my list this week! I ended up with Leah on the Offbeat but I adore Fangirl. I have not read any of the other books. Here is my TTT https://paigesofbook.blogspot.com/2019/04/top-ten-tuesdays-rainy-day-books.html. I haven't read any of her other books either! Fangirl is a great book to read no matter what the weather. And if Winds of Winter were ever finished... that would be a good rainy read too. If we ever get an actual publication date for that book, it will be all book Twitter talks about for probably a week, LOL. I've only read Vitro, Panic, and Fangirl from this list, but you have so many different types of books here! I think a rainy day is perfect for almost any book! I have seen a lot of people cite engrossing books for rainy days, and I do think that type of book would be great, especially in a bad storm, where it's best to stay indoors. Mysteries are great for rainy days. I must check out that 70s setting one. LOL at the last one! I wish! Thanks for doing my topic! I laughed so hard when I read Winds of Winter on your list - great one! HAHAHAH Winds of Winter...will we ever get it?? Probs not at this point. I have so much love for The Long Way To A Small Angry Planet, it's such feel good story, which is exactly what you want in a rainy day book. 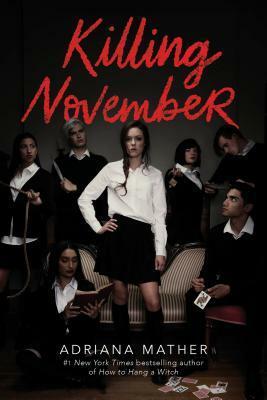 Killing November has been popping up a lot lately and I definitely need to check it out soon! Great picks! I agree on Two Can Keep a Secret Greg!!! I wish I was reading The Winds of Winter on a rainy day! LOL, The Winds of Winter - any kind of day would be good to read that! Preferably soon! 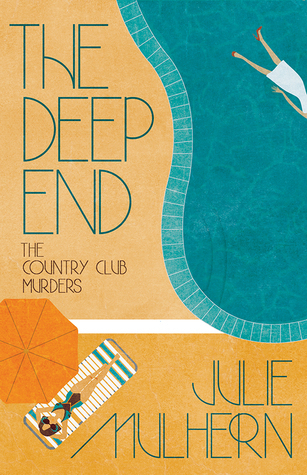 I love a good spooky read on a rainy day and I really need to read The Deep End. I loved the other books in the series! Yes, Fangirl is perfect for a rainy day. Thanks for visiting my blog earlier. That's a nice mixture of settings and genres! I don't go all seasonal with my reading so every day is the right day for any book! 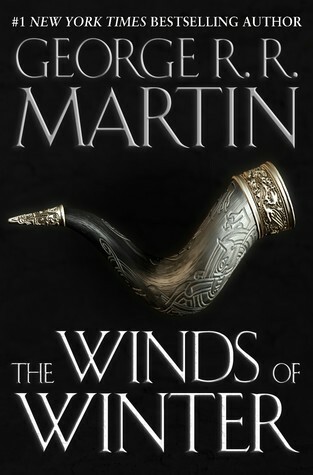 I am getting so antsy about getting my hands on The Winds of Winter though! I bought Fangirl recently. I really need to prioritise reading it! All I hear are good things. 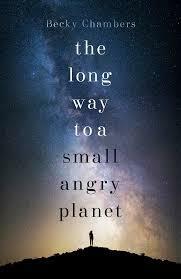 The Long Way to A Small and Angry planet is on my wishlist because I have heard so many good things about it. And I added Killing November to mine a while back because of you reading it too :) I enjoyed Fangirl and completely agree - definitely rainy weather read material!